Simon Barnes once wrote a book called How to be a Bad Birdwatcher, so it should come as no surprise that he’s a bad walker too. “I get out of breath going up a slope, but that doesn’t stop me enjoying it,” he says. 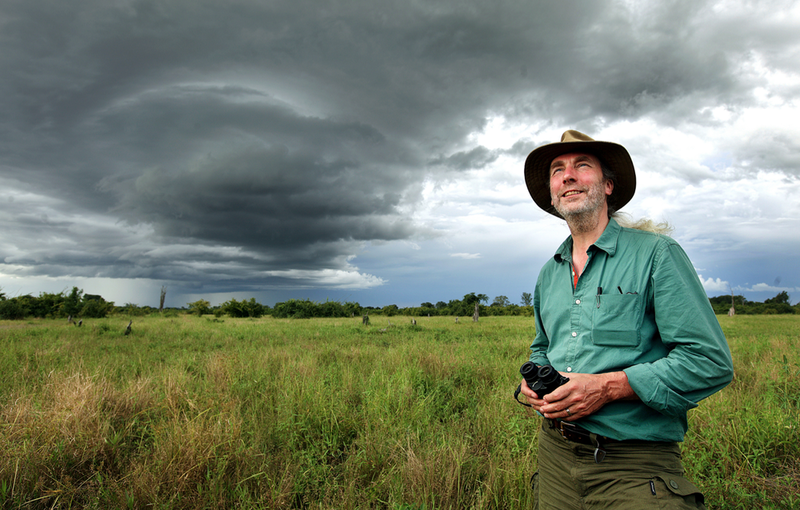 Simon has been hailed as Britain’s foremost nature writer, particularly on birdlife. But his most recent book is something very personal, and it’s likely to resonate with walkers good and bad. Titled The Sacred Combe, it’s about how each of us needs to find a special place where we truly connect to the landscape. “A sacred combe is a place where you feel closer to the wild world, where you feel you’ve come home, even if you’ve never been there before,” he says. Simon has two; one is the Norfolk marshland where he and his wife have set up home and now manage the precious habitat for the local Wildlife Trust. The other is the Lwangwa Valley in Zambia, a naturalist’s paradise that teems with savannah life right up to lions and elephants. In fact it was an encounter with elephants that made him realise he had indeed found his sacred combe. “It was on the first night of my first visit, when I awoke to find a small herd of elephants eating the thatched roof of my hut,” he says. Best of all is the story of Simon attempting to sneak across a railway bridge over the Mawddach estuary in Snowdonia in search of an elusive merlin. It involves a train, obviously. It turns out that “walks gone wrong” figure strongly in Simon’s life. “I really love being confused by the landscape,” he explains. “I recently went walking in the dune system at Kenfig, near Porthcawl, and got lost trying to find the sea. The landscape is utterly disorientating – you can’t trust the dunes or the vegetation to take you in any kind of straight line. Suddenly you look up and think, ‘Who put the sun over there?’ And that’s brilliant, for humans who are so used to knowing, boringly, where they are all the time. The Sacred Combe is out now.